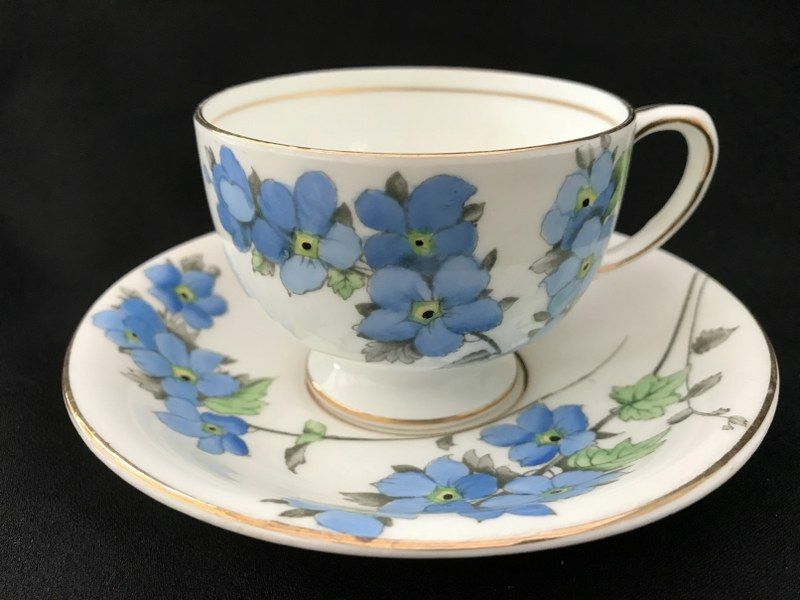 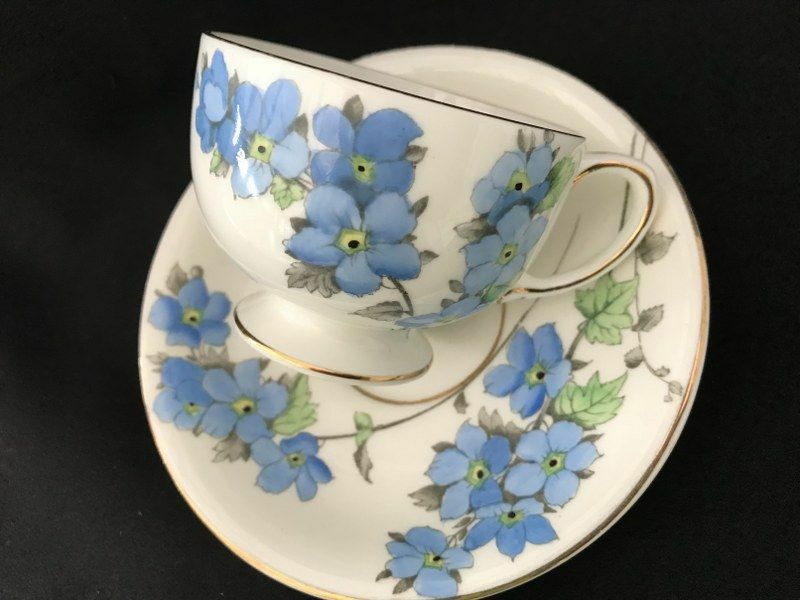 Radford - teacup & saucer with blue hand painted flowers over a grey print on white china. Wide rimmed cup with small foot and looped handle..
Gold trim. 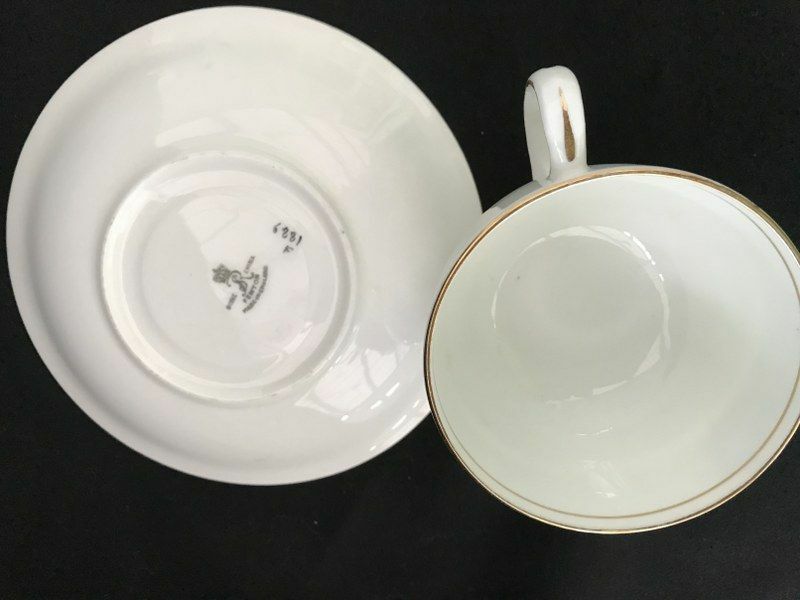 In good condition with minimal signs of wear.